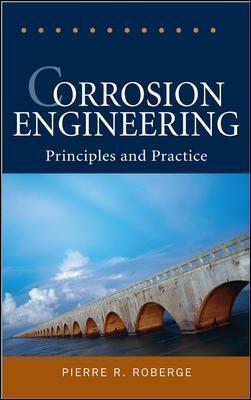 Now you can turn to Corrosion Engineering for expert coverage of the theory and current practices you need to understand water, atmospheric, and high-temperature corrosion processes. This comprehensive resource explains step-by-step how to prevent and control corrosion in all types of metallic materials and applications-from steel and aluminum structures to pipelines. Pierre R. Roberge, Ph.D., P.E., is a professor at the Royal Military College of Canada, where he teaches materials engineering, corrosion engineering, and electrochemical power sources. He previously worked as a research scientist in industry, specializing in the performance of materials in service and the production of energy with electrochemical power sources. Dr. Roberge has written numerous journal articles and conference papers and is the author of several engineering titles, including McGraw-Hill's Handbook of Corrosion Engineering.